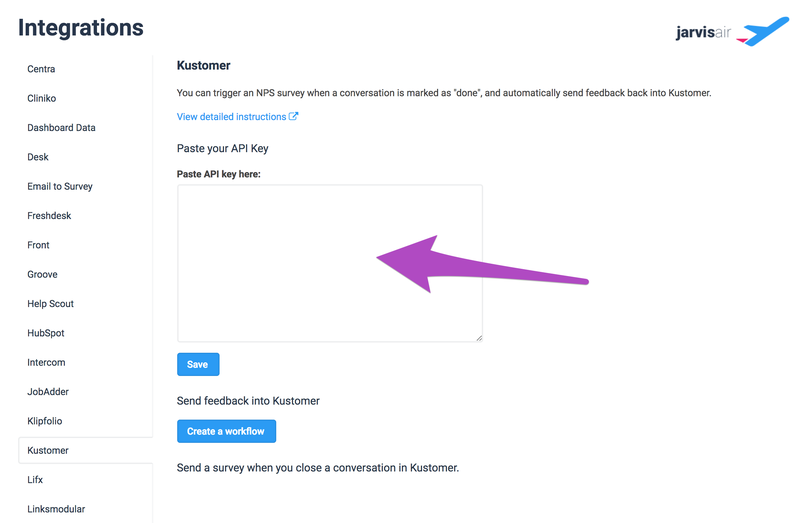 Integrating AskNicely and Kustomer makes triggering NPS surveys after an interaction simple, and automatically sends feedback back into Kustomer so that your team has all information close at hand. Empower your team to take immediate action by creating Kustomer conversations automatically when negative feedback is received. The first step when integrating AskNicely and Kustomer is to connect your accounts together. Don't worry: when you connect your accounts, we won't send any action immediately - you'll have a chance to make sure everything is ready to go before sending your first survey. 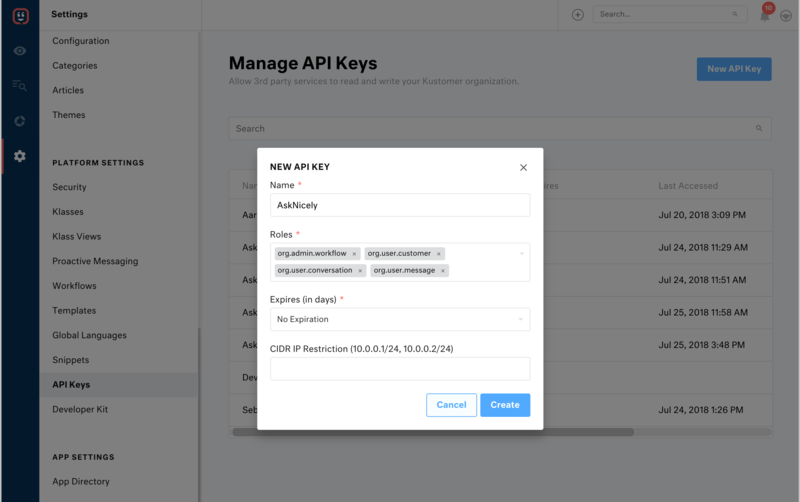 On your Kustomer account, navigate to the API Keys page under the Settings cog, and select "New API Key". 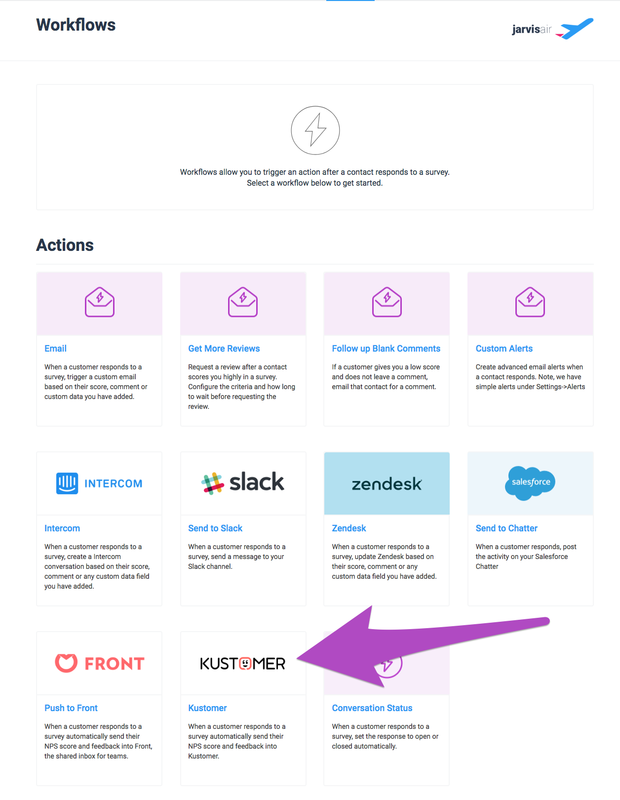 Copy the Token created by Kustomer, and head on over to your AskNicely account's Integration page, selecting "Kustomer" from the navigation. 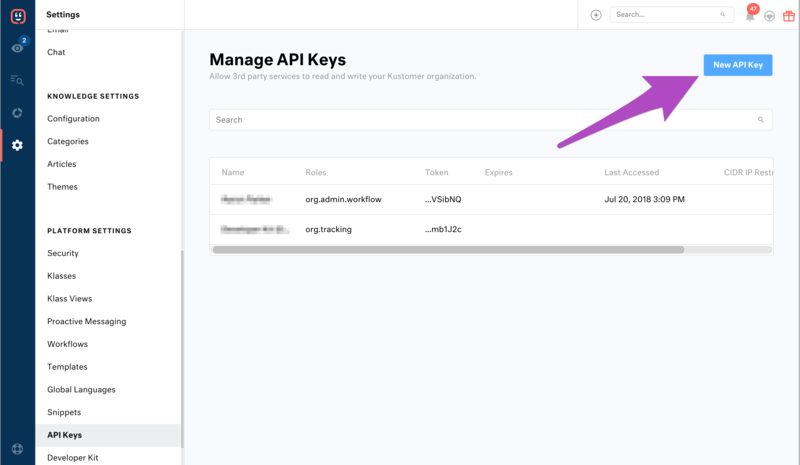 Add the API key/token, and choose "Save". 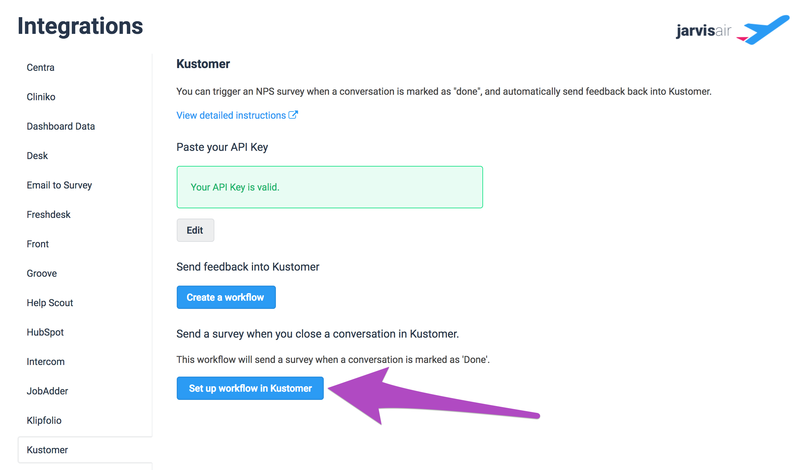 You can choose to trigger NPS surveys from AskNicely when a conversation is closed in Kustomer. To do this, select "Set up workflow in Kustomer". This is a one-step process and will generate the workflow to send an NPS survey when a conversation is marked as 'done' automatically. As an optional extra, you can adjust the settings or add more advanced workflows in your Kustomer account. 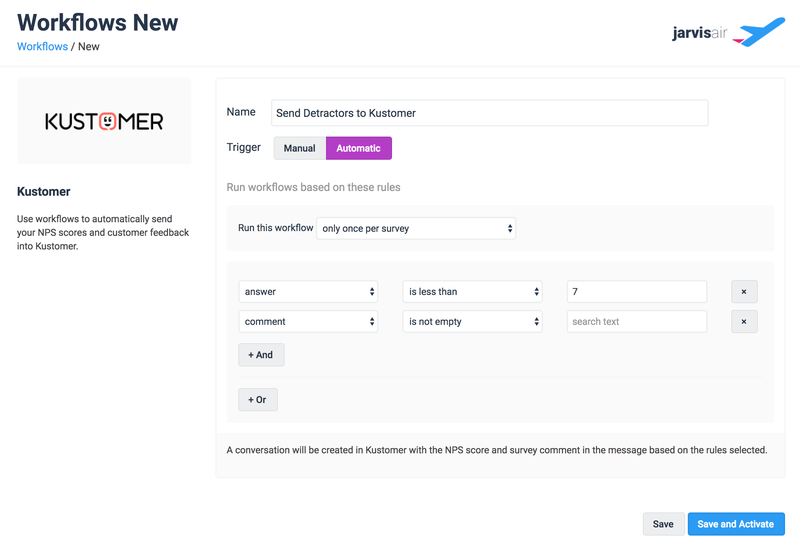 When a customer responds to your AskNicely survey, their score and any comment they leave can be sent back into Kustomer and automatically create a conversation based on rules you choose. So you may for example, choose to automatically create a conversation for any Detractor who has left a comment. To do this, head to Workflows in AskNicely, select the Kustomer Workflow, and choose the rules you'd like to apply.